Private waterfront French Chateau home with expansive views of the East River. This property is comprised of 6 acres with a 7,000+ sq.ft. 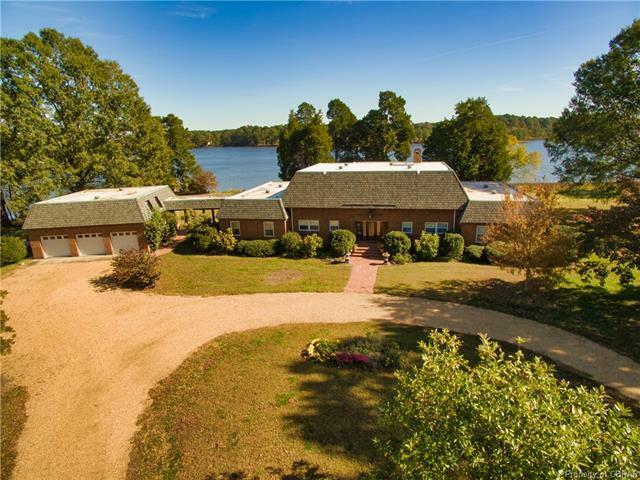 home, 3 car garage with apartment, waterfront pool and a 5 stall barn. The main house is designed to entertain large group, offering multiple dining areas, a large sunroom, a library and 2 first floor master suites. The second floor offers additional bedrooms and a family room with a fireplace. The apartment has a full kitchen, living room, bedroom, along with a full and a half bath. This North single family home has 7 bedroom, 7 bathroom, and is currently listed for $1,199,500. Located at 541 Brittany Lane , the property features a lot size of 6.0 Acres and was built in 1972. 541 Brittany Lane has been on bhgre.com for 165 days. This listing is provided courtesy of ISABELL K. HORSLEY REAL ESTATE. Want to see even more homes for sale? On bhgre.com, you can find the latest North MLS listings, check out photos, save homes, and find the right real estate agent when you're ready to reach out!